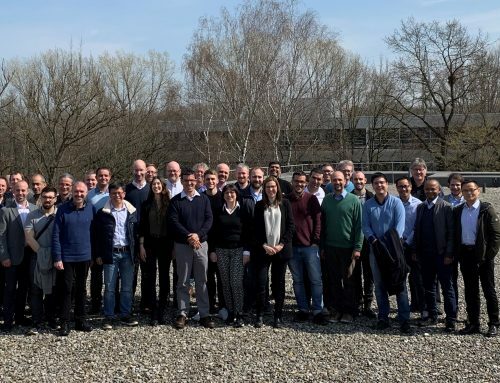 5G-Xcast is proud to announce that deliverable D4.1 on Mobile Core Networks is now released and can be downloaded from this link. 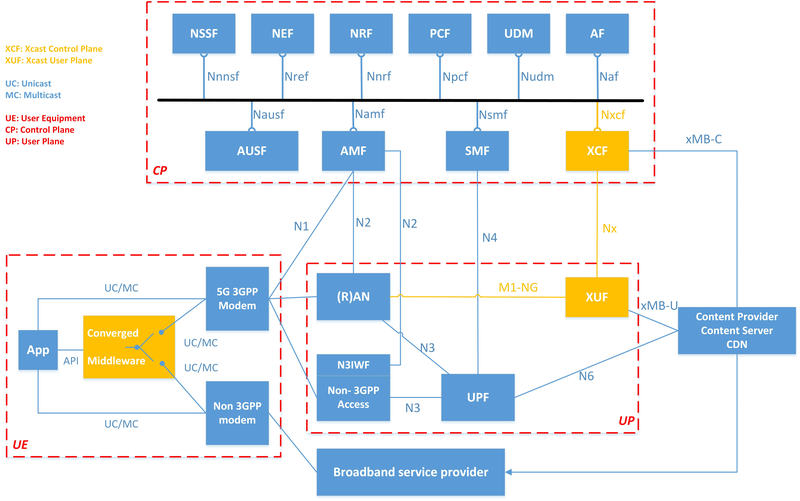 The document describes the 5G-Xcast mobile core network architecture, which enables multicast and broadcast capabilities based on 5G architecture defined in 3GPP Release 15. 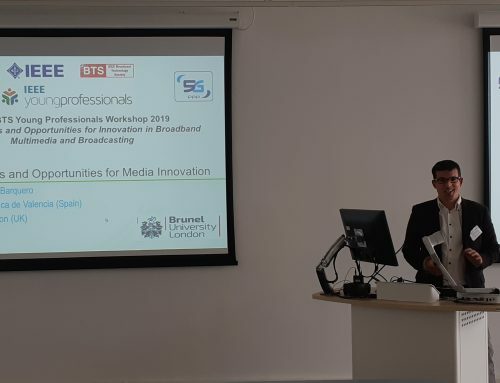 The proposed architectures will be the target for the technical developments within other work packages of the project such as WP3 on the interaction between Radio Access Network (RAN) and the core network and WP5 on the content distribution framework. 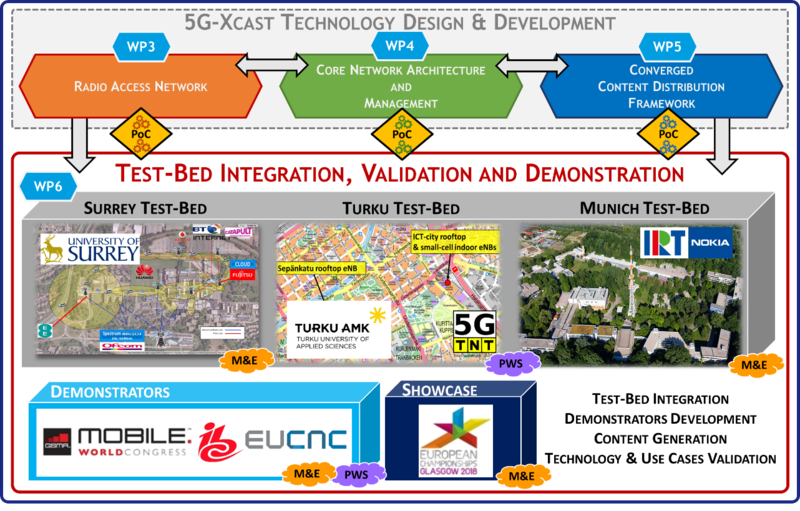 The 5G-Xcast mobile core network architecture considers the new functionalities and technologies such as converged autonomous switch between unicast, multicast and broadcast for the converged network including fixed broadband and mobile networks, multimedia public warning alert, multi-connectivity and multilink, and multi-access edge computing. The use cases and requirements identified in WP2 are reviewed from the core network point of view. 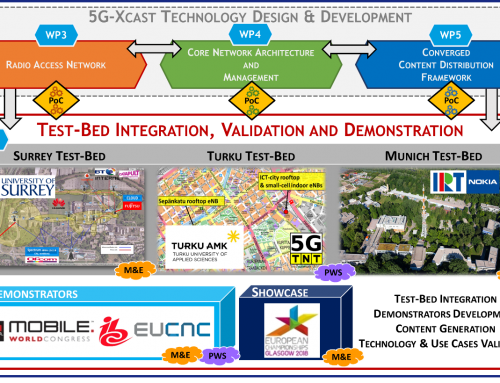 These technical requirements are considered as the basis for providing the 5G-Xcast architecture solutions. 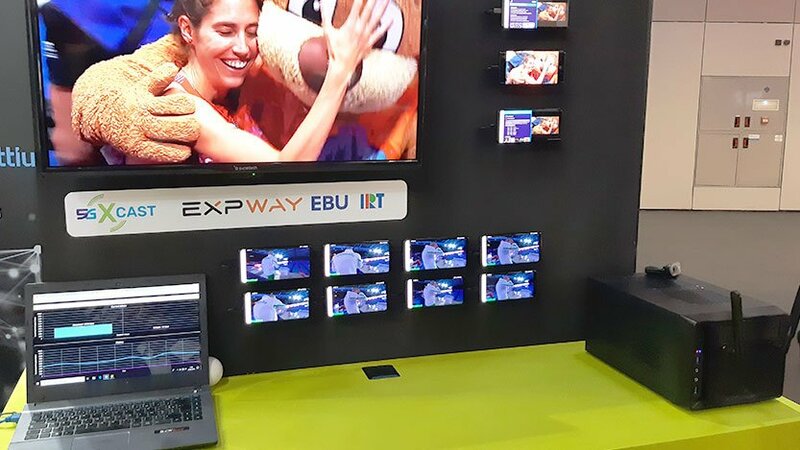 The first alternative leverages the 5G core network architecture to enable multicast and broadcast capabilities. 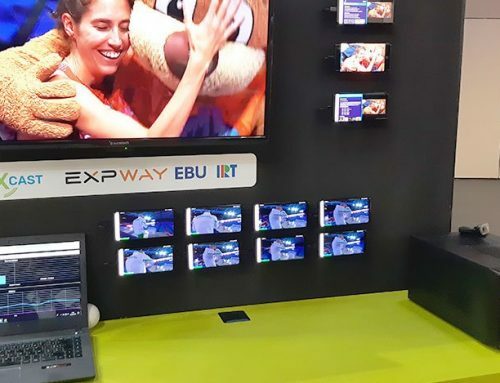 The second alternative aims at minimizing the changes to the LTE eMBMS specification while being compatible with the 5G core network architecture. 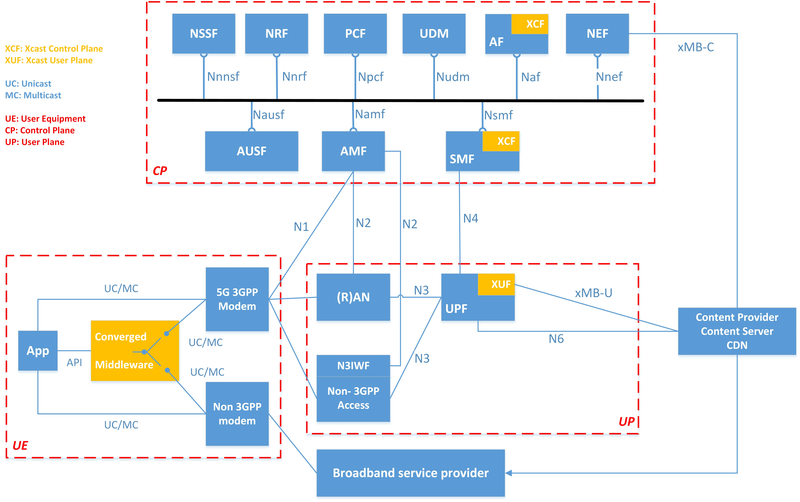 D4.1 also takes into consideration another possible alternative that does not introduce any new network functions to the 5G core network architecture. However, this alternative could be considered as an implementation option of the first alternative.